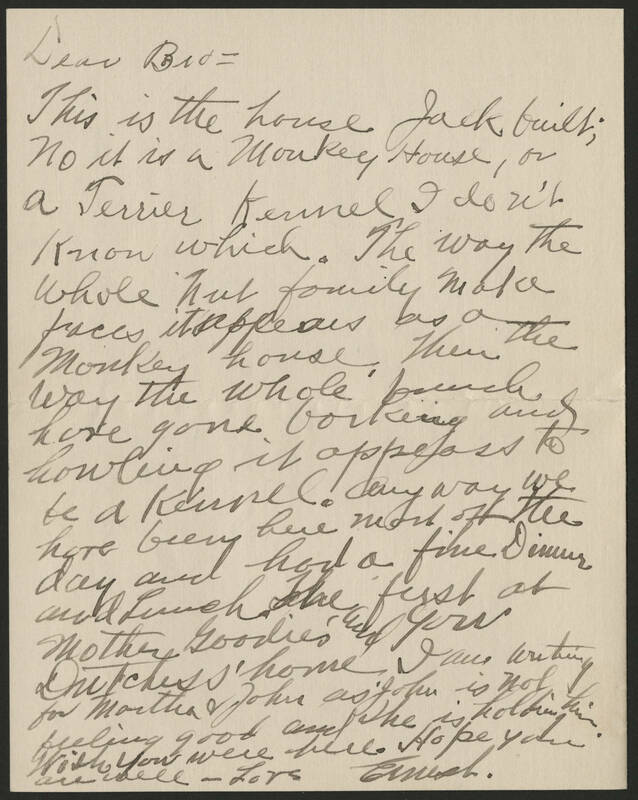 Dear Bro= This is the house Jack built; no it is a Monkey House, or a Terrier Kennel I don't know which. The way the whole nut family make faces it appears as a Monkey house. Then the way the whole bunch have gone barking and howling it appears to be a kennel. Any way we here been here most of the day and had a fine Dinner and Lunch. The first at Mother Goodie's and your Dutchess' home I am writing for Martha & John as John is not feeling good and she is holding him. Wish you were here. Hope you are well. Love Ernest.